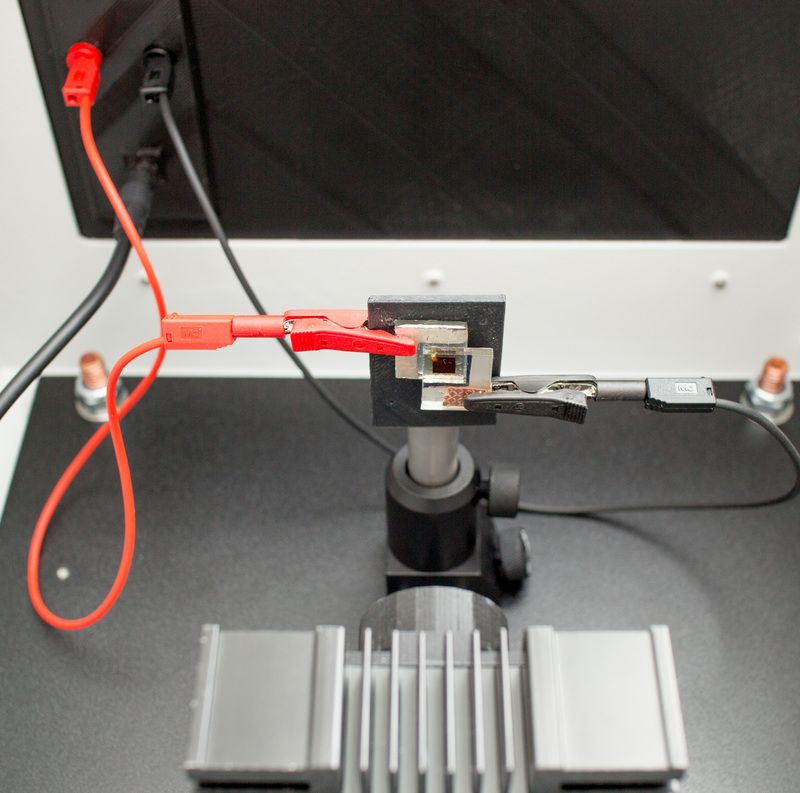 This stand-alone piece of equipment has been developed for detailed analysis of small dye-sensitized solar cell devices with an active area of 1cm2 or less. The standard light source is a white light-intensity light emitting diode (LED). The maximum light intensity is 1 sun equivalent (1 sun = 1000 W m-2 AM1.5G). 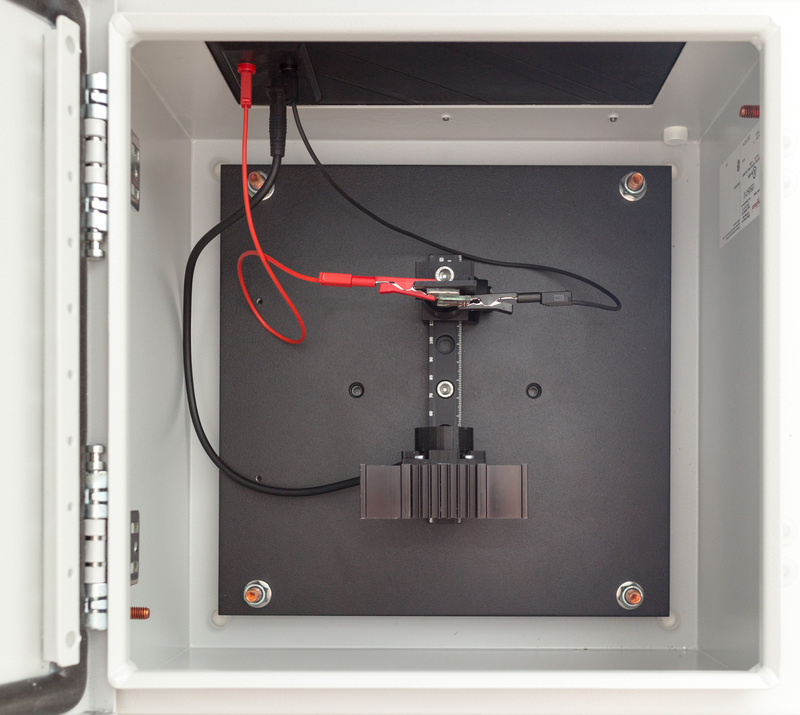 The Dyenamo toolbox is designed for small-modulation transient measurements for rapid determination of electron lifetimes and electron transport times in DSSC devices. Furthermore, electron accumulation in the mesoporous electrode of the DSSC can be determined by charge extraction measurements. Finally, standard IV-curves can be recorded at different light intensities. Boschloo, G; Häggman, L.; Hagfeldt, A. Quantification of the effect of 4-tert-butylpyridine addition to I-/I3- redox electrolytes in dye-sensitized nanostructured TiO2 solar cells J. Phys. Chem. B 2006, 110, 13144-13150.